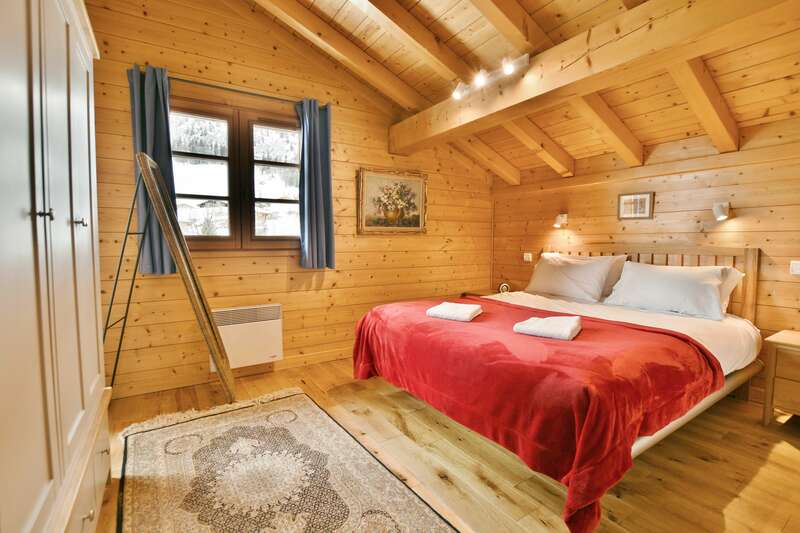 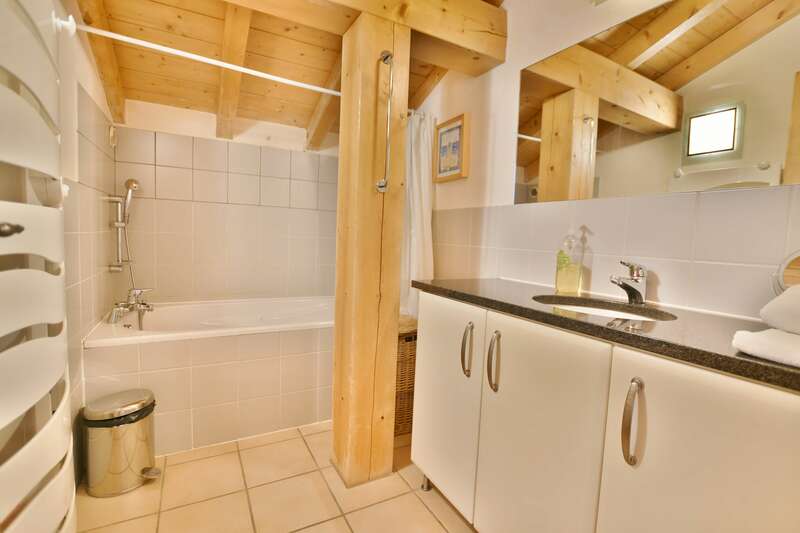 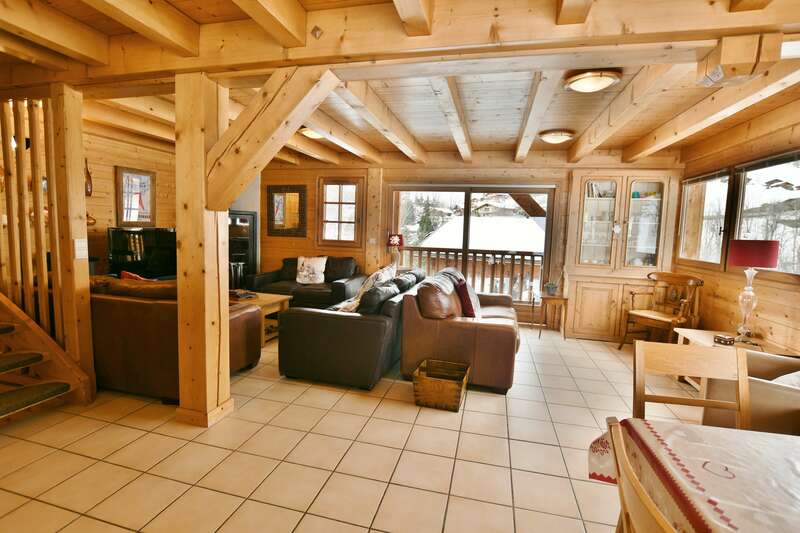 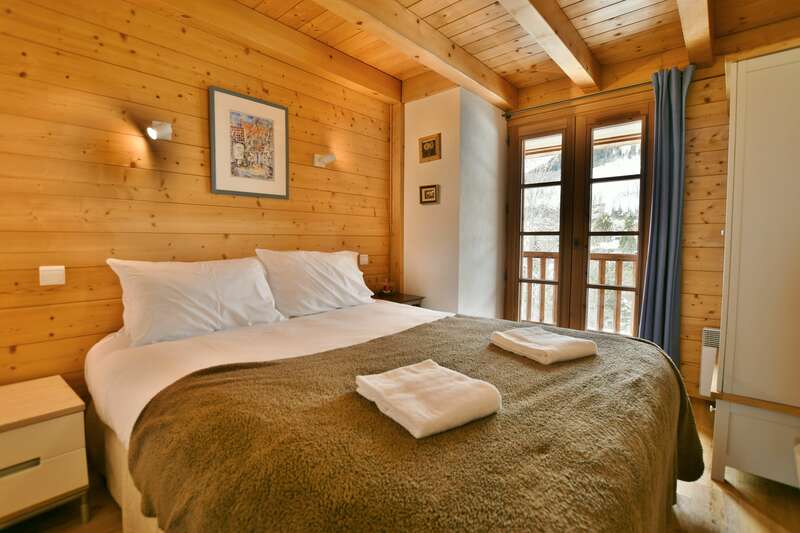 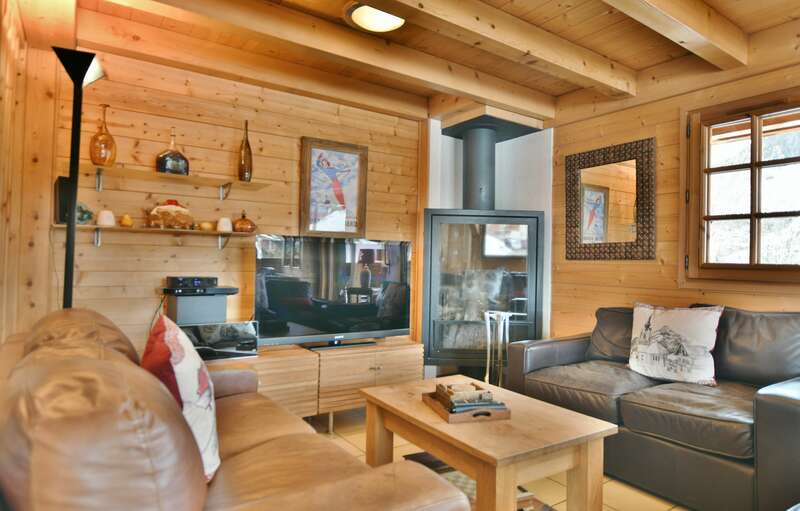 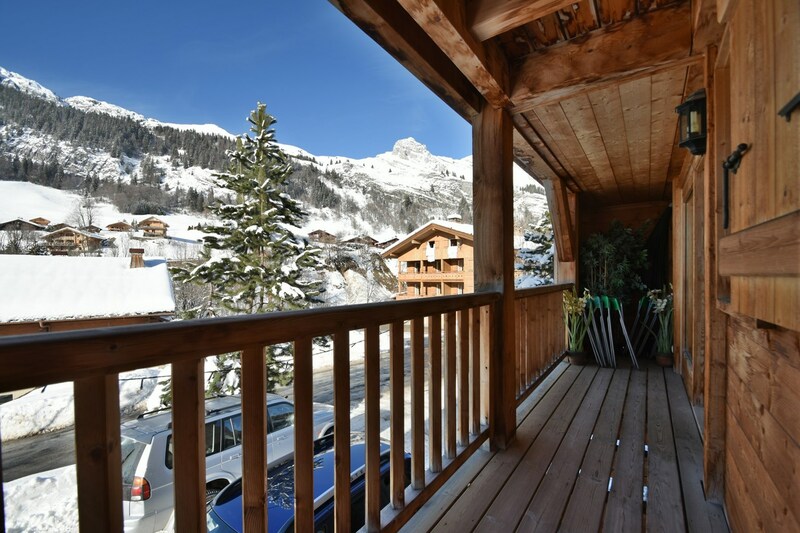 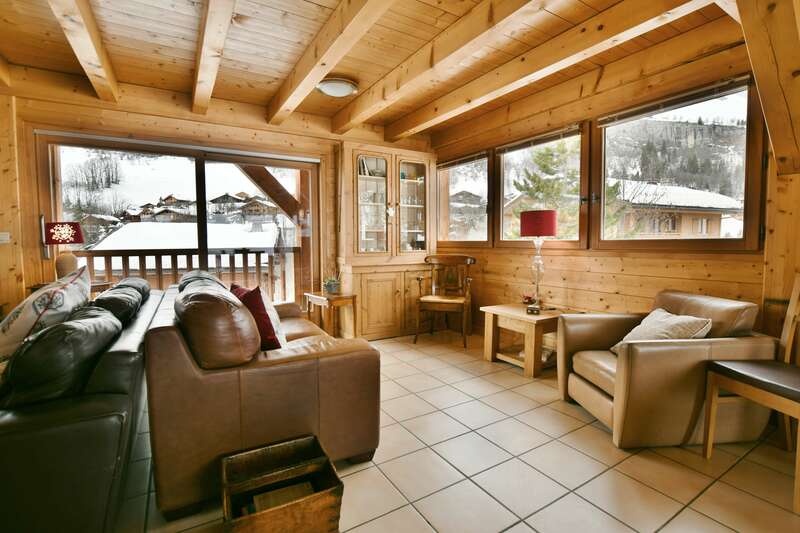 Chalet Solar is a beautiful chalet that comfortably sleeps 11 people located in Le Chinaillon area of Le Grand Bornand resort. 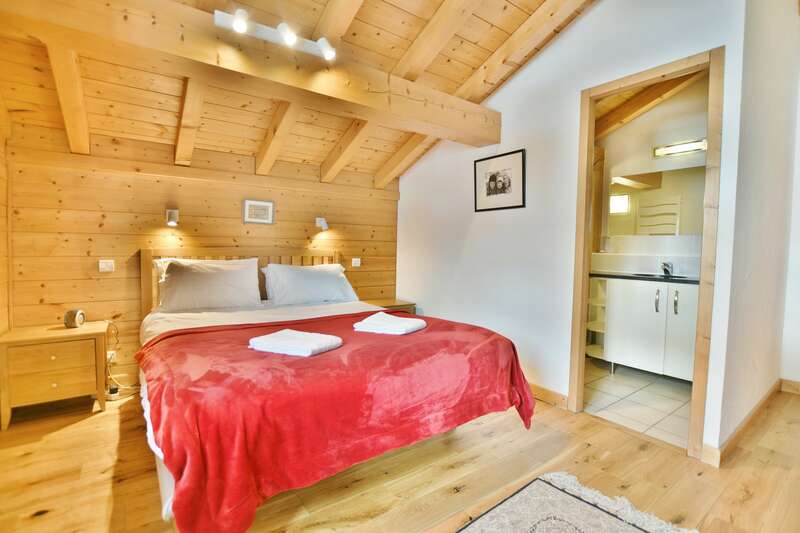 It has a surface area of 150m² and has 4-5 bedrooms: a double with a king sized bed and its own en suite (with shower room and a toilet) another double bedroom, and then two other bedrooms that each have two single beds. 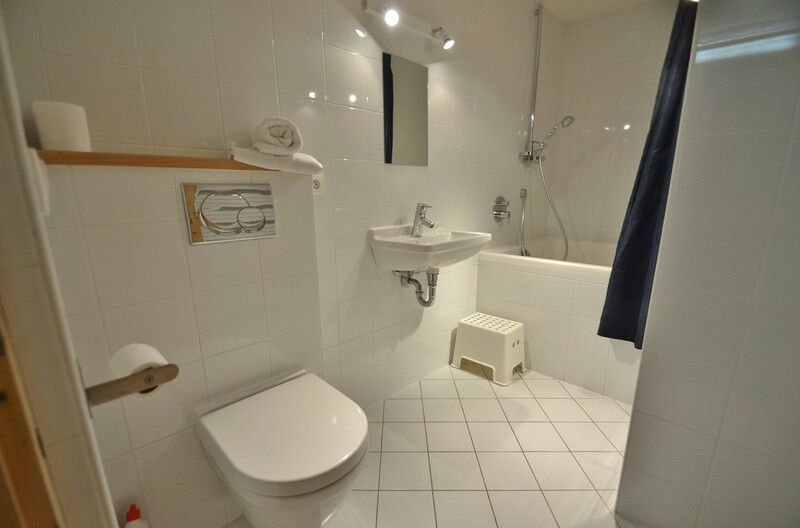 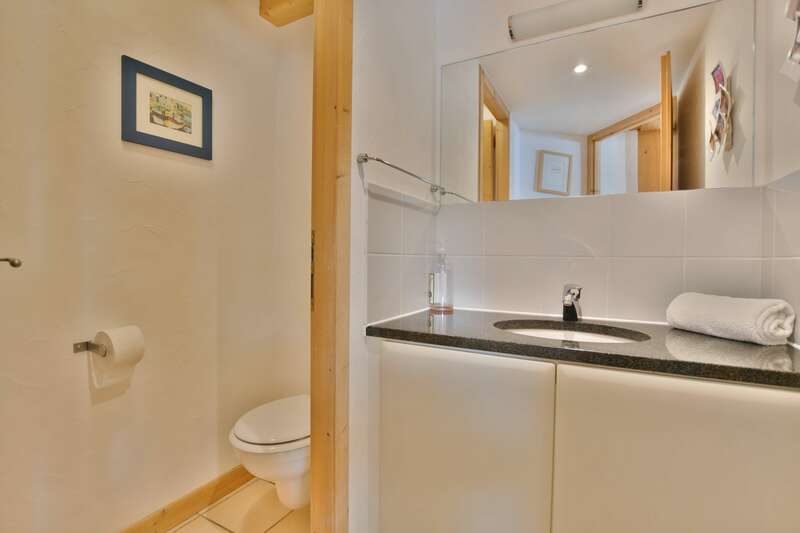 On the first floor there is one bathroom with a seperate toilet and on the ground floor there is a shower room next to the laundry room with a toilet. 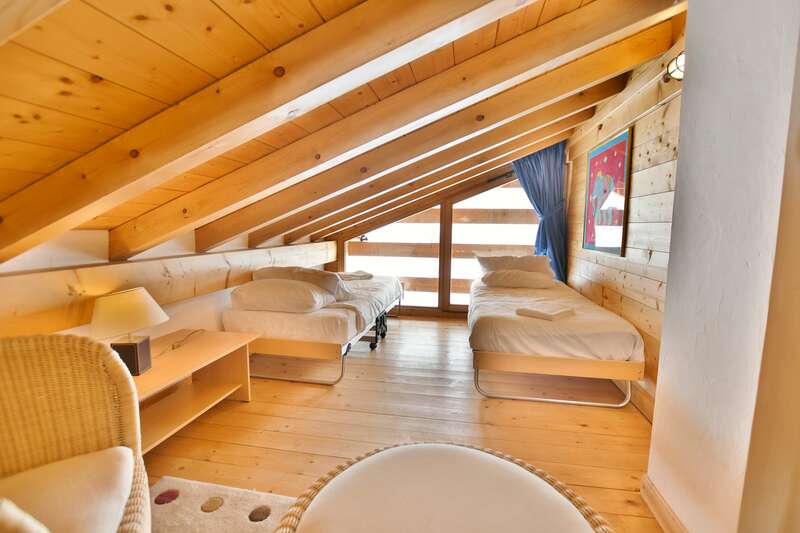 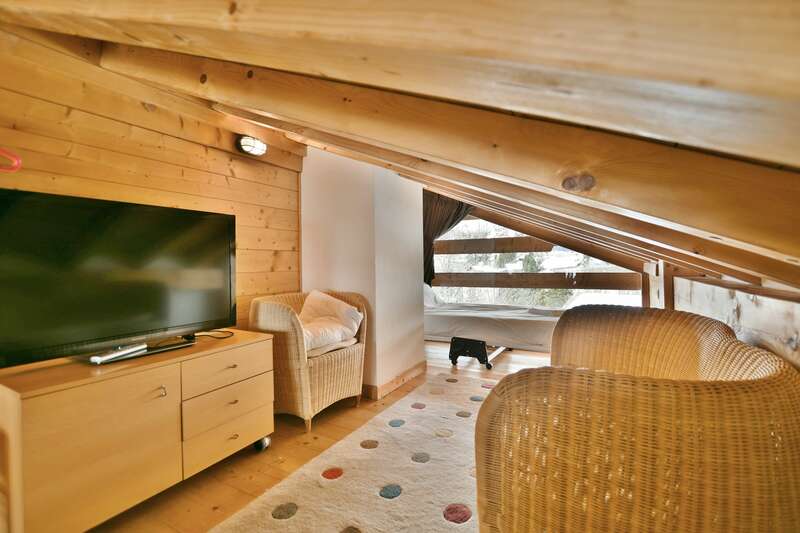 There is a mezzanine in the roof with 3 beds which is ideal for children, also up there is a TV, DVD and Playstation for their own space. 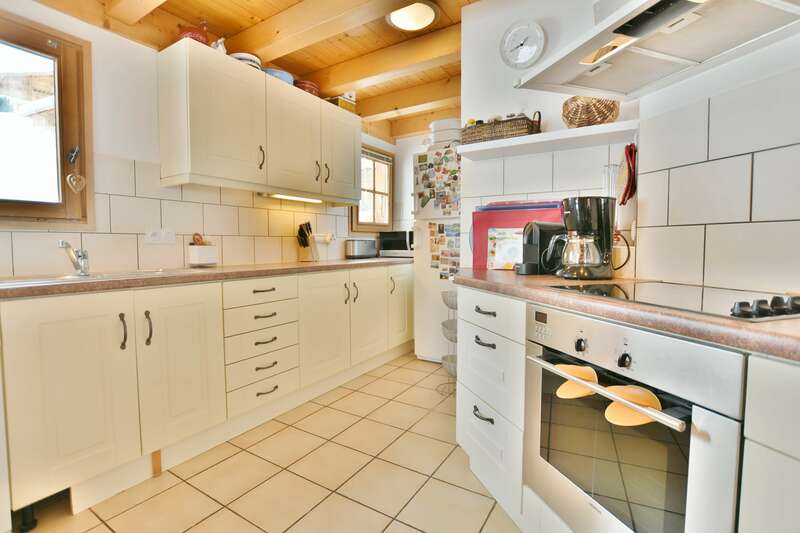 The kitchen is relatively big and opens onto the dining room.You have two sitting rooms one which would allow for a quiet read or rest and the other which is larger and has a flat screen television with DVD and CD player. 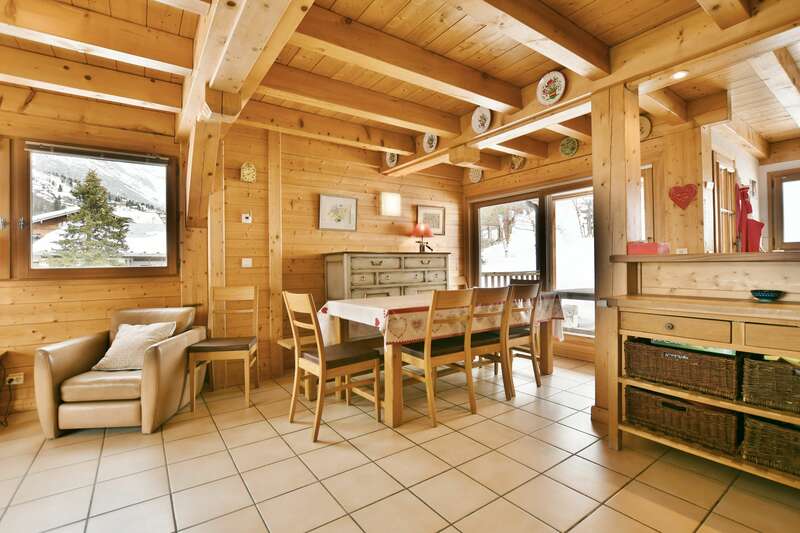 It has a large open plan dining room and living room. 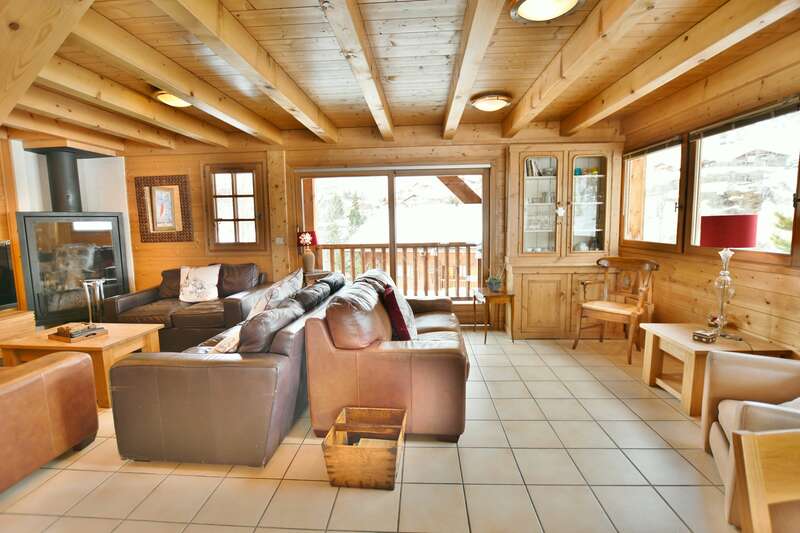 At the back of the chalet there is a terrace, and a beautiful lawn for those warm summer months. 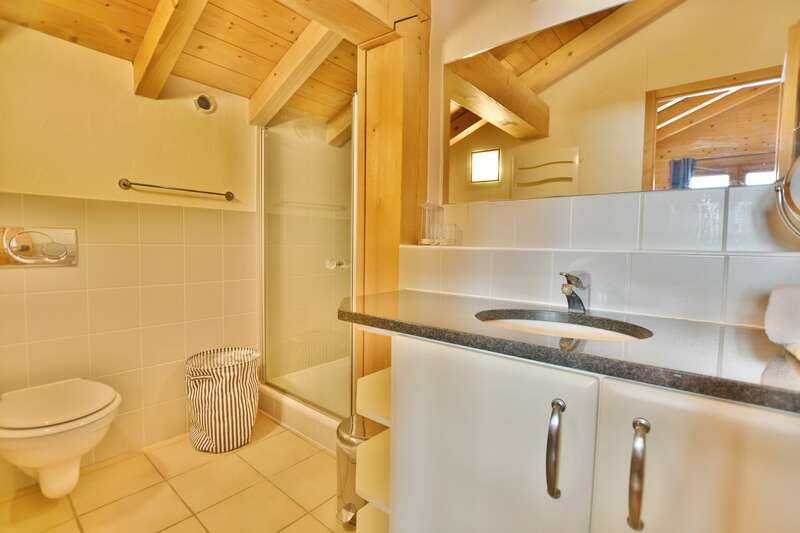 You will be able to use the barbeque. 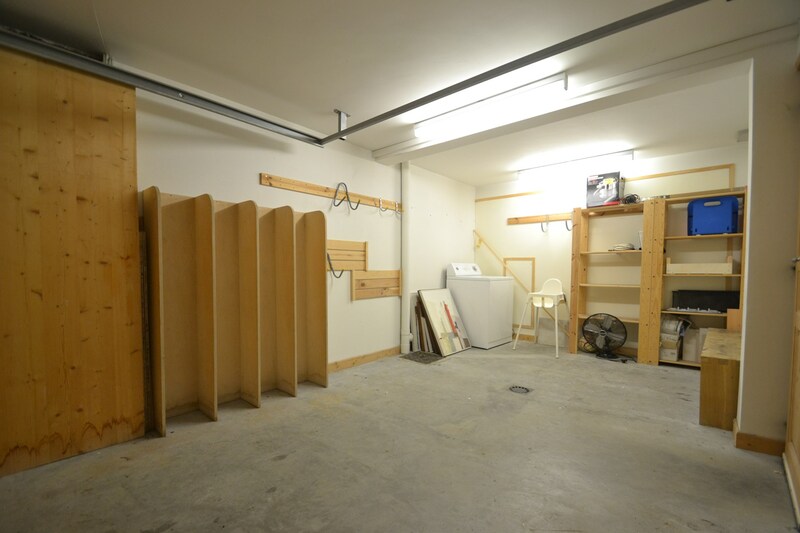 On the ground floor there is a nice laundry room which also has a drying room just next to it.You will also have access to a garage. 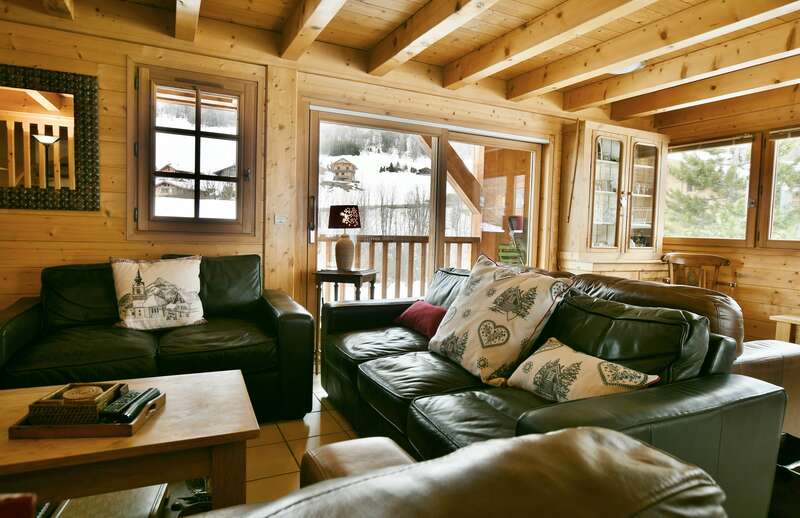 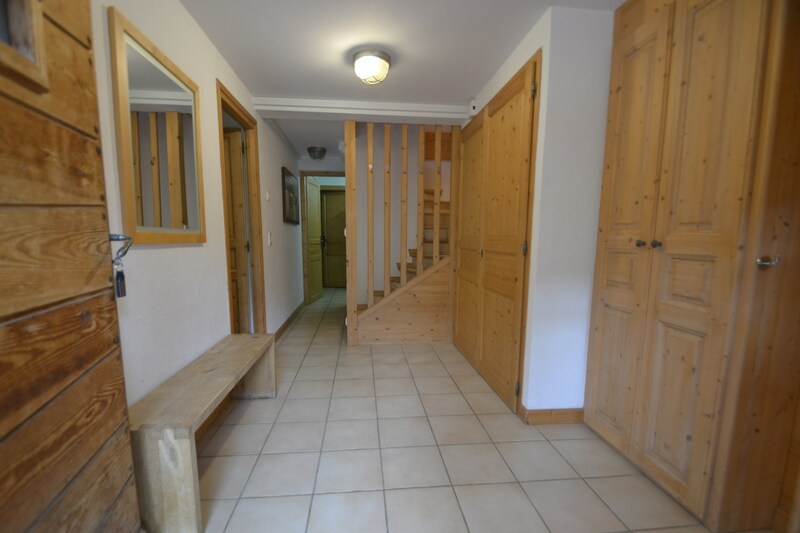 Access couldn t be easier with the free local bus that stops 50 metres away from the chalet! 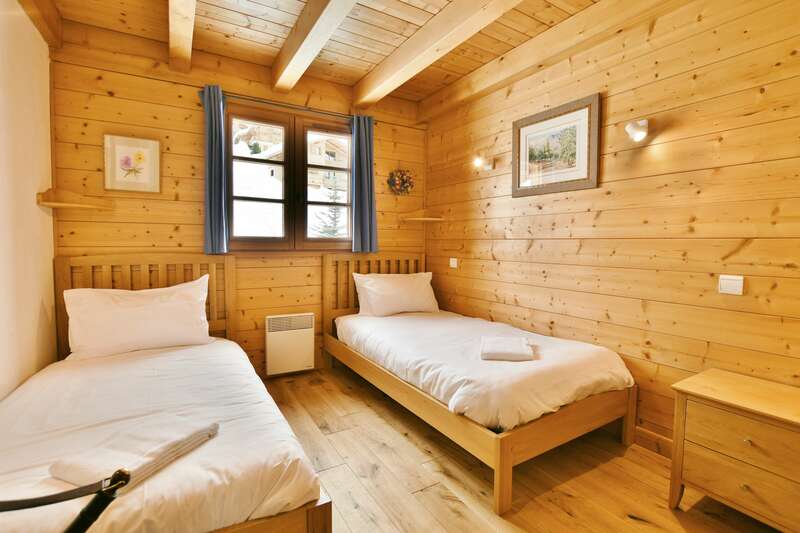 These make your holidays that much more relaxing.